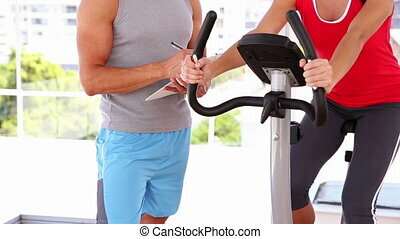 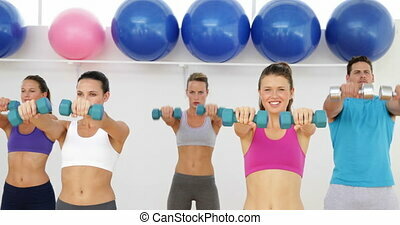 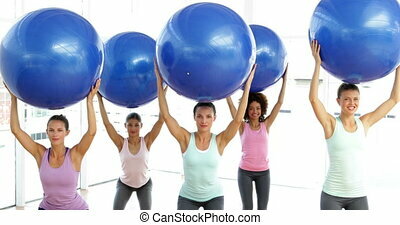 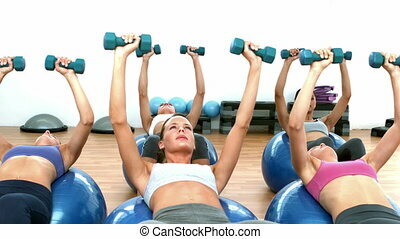 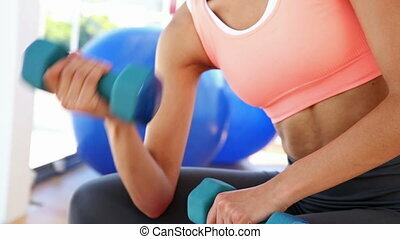 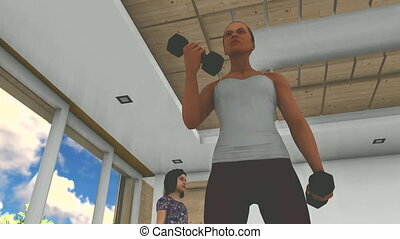 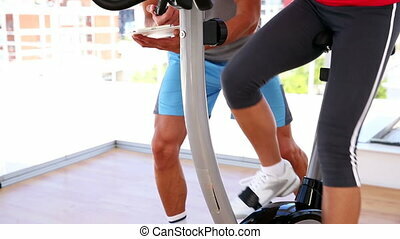 Fit woman lifting dumbbells with trainer at the gym. 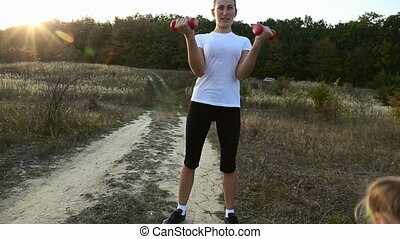 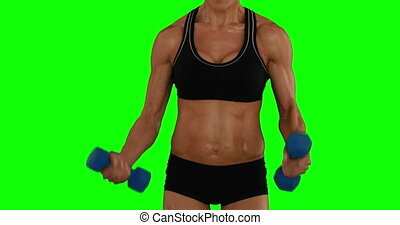 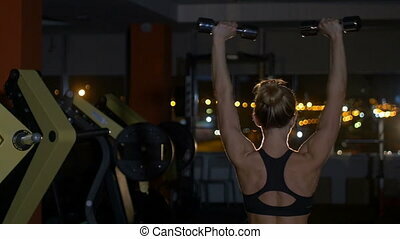 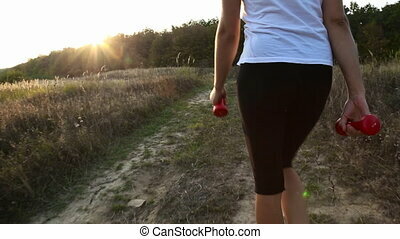 Video of a young blonde woman lifting dumbbells. 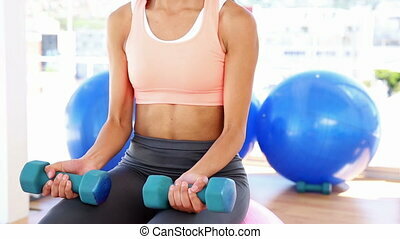 Beautiful fitness woman with lifting dumbbells . 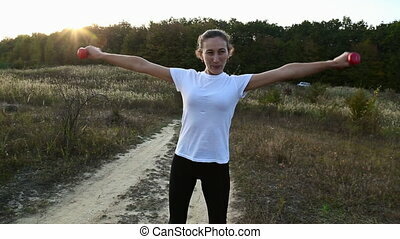 Sporty girl showing her trained body . 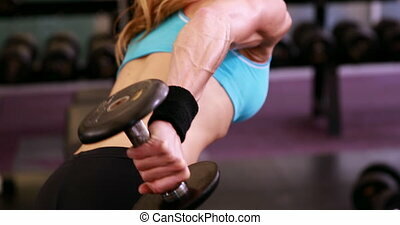 Well-developed muscles by strength training .